You’re eager to start a new business. You have the next innovative idea and you want the world to see it. Yet, finding that perfect niche is becoming a roadblock. How do you know how to target your target audience? How can you find out which problems they need solved? …Breathe, grasshopper. Everything is going to be all right. Don’t look at the overall puzzle right now. Rather, let’s put together the puzzle’s framework — your niche. First and foremost, you have to self-identify with your interests and passions. In order to be a successful entrepreneur, you have to enjoy the work you do. You have to care about it. You have to have fire in your belly! This interest or passion has to get you up each morning and fired up to do work. Think about your job now. How does that compare to your passion? These two may be on two different playing fields; they may not have any common ground at all. Write out your passions and ask yourself this: What is keeping myself from it? If the answer is your job, ask yourself (honestly) about your current job satisfaction. Are you happy working with a company? Do you want to be in business for yourself? At some level, you must want to branch out on your own. After all, you’re reading this article. If you’re tired of the 9-5 grind, get out of it. Change up your life and life on your terms. Live your passion and make it work for you. If you love what you do, then you’re never going to work a day in your life. Do you love what you do? Think about it. Next, identify which problems need solved. Let’s say your passion is public speaking. What is your message? What anecdotes and life experiences can you share with others? In what way can you positively impact their lives? You may have traveled around the world and seen wildlife up close. Tell the audience how this changed your perspective on life. If you went through a heroic event, share your thoughts and advice. Tell the audience what your learned as a result. You walk away a winner if one person applauds or the whole room applauds. In some way, shape or form you are changing their lives for the better — just by telling your story. You also want to research your competition. If you want to write a book, for instance, you want to research what has already been written on your chosen topic. Even if there are hundreds or thousands of search results, don’t let this deviate you from wanting to write your book. Sure, your topic may be well-covered in the market, but the readers don’t have your perspective on it. Your book can still rise to the top of the best seller’s list. All you have to do is research it well and solve your reader’s problem(s) within it. I would also research keywords for your book — or really any product you create. This is going to help make your products much more marketable. Try keyword tools that show you the top searchable terms. These terms, too, will give you guidance in creating products for your customers. 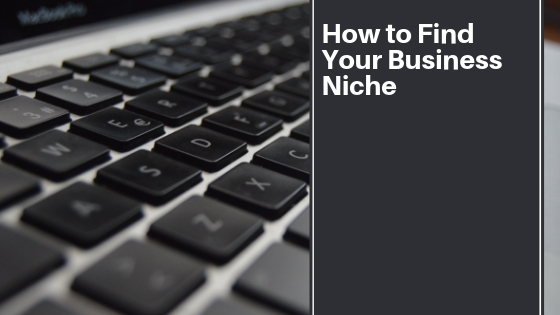 Make a database of the ones that are most relevant to your niche. These keywords are what people are searching for directly in Google. They have a problem, so rise up and deliver a solution. Then, brainstorm products for your niche. Do you want to create books, courses or videos? You can have all this content and profit from it. Develop business profiles on social networks such as Twitter, Instagram and Facebook. Once you build up an audience, you can test out your products on your followers. For instance, give them a free lesson to your course. Ask them for their honest feedback. Some feedback may be positive and some of it may be negative, but regardless you need to hear it. Your product will then be the best it can be. Finally, ask your customers what they want. Do they need a course to solve their problems? A webinar or book? A YouTube video or a live chat? Ask your customers and take notes. These customers are your bread and butter. They buy your products because they have a problem which needs solved. Provide them that information and you’re going to be well on your way to finding your business niche.